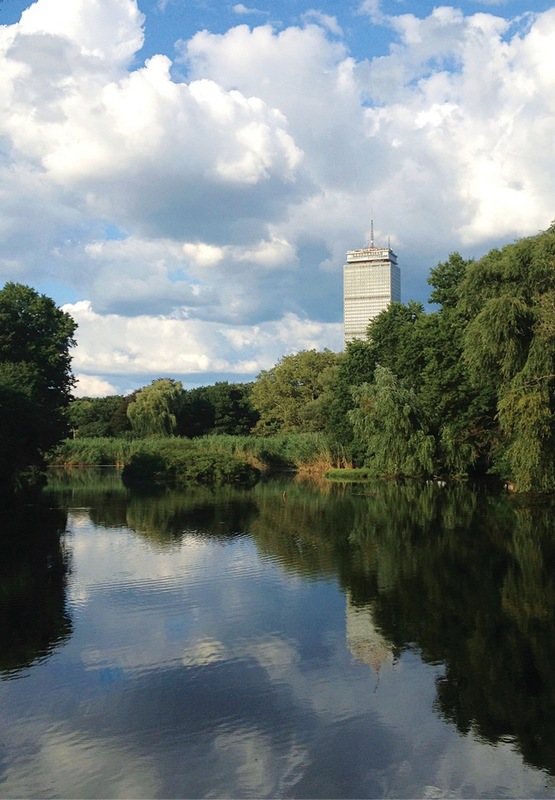 If you were unceremoniously dropped into the Arnold Arboretum—or Franklin Park, or even the Back Bay Fens—there’s a good chance you wouldn’t realize you were in the middle of a major city. That’s the beauty of the Emerald Necklace, the winding network of green spaces that stretches across Boston. Not only do these verdant expanses serve as surprisingly lush urban oases, each of the Necklace’s “jewels”—the parks within the chain—feels like its own distinctive and natural landscape. And that’s on purpose. As you traverse the seven-mile-long series of meadows, marshlands, and roadways, you’re living out the vision of Frederick Law Olmsted. 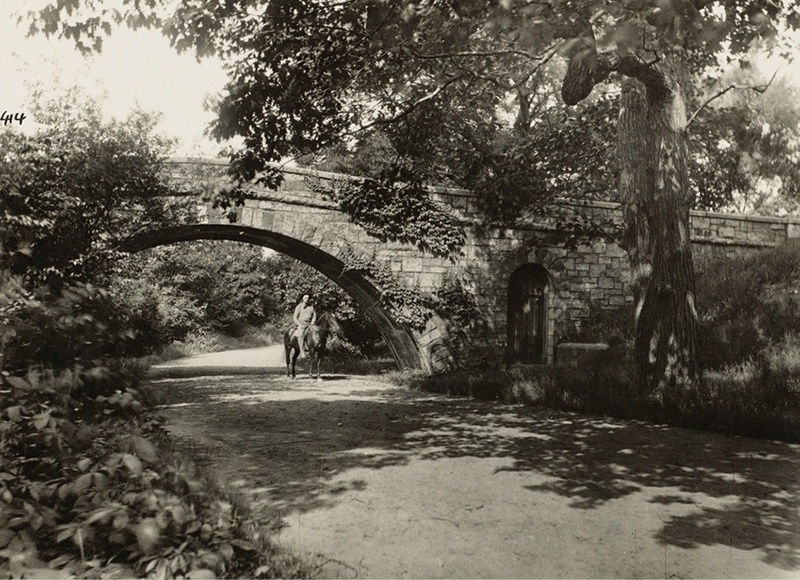 The country’s first professional landscape architect, Olmsted believed city parks should be sanctuaries from the clamor and grit of urban life, providing peaceful settings and picturesque views as a contrast to their industrial surroundings. When Olmsted successfully applied this design theory to New York’s Central Park in 1857, Boston took note, eventually hiring him in the 1870s to build not just one large park, but an entire park system. Olmsted set out to create spaces where Bostonians could “easily go when the day’s work is done, and where they may stroll for an hour, seeing, hearing, and feeling nothing of the bustle and jar of the streets.” He started by sketching what he called a “green ribbon,” a path that would start at Boston Common and weave all the way into Brookline. It would be a project decades in the making. Olmsted began with the Back Bay Fens, transforming a sewage-clogged swamp into parkland by carving a salt marsh into the boggy area and rerouting the sewers from the Muddy River into the Charles with a series of floodgates. Next, he worked with Charles Sprague Sargent to remake former farmland into the Arnold Arboretum, a living museum of horticulture. Olmsted also extended the green ribbon to Jamaica Pond, crafting a serene landscape around the kettle pond. In areas where space didn’t allow for entire parks, Olmsted converted former carriage paths into the tree-lined parkways now known as the Arborway, Riverway, and Jamaicaway. The work was slow going, as Olmsted’s plans required Boston to first acquire land for the parks gradually through eminent domain, then clear farmlands, remove houses, and fill in bodies of water. He sought to create park environments consistent with a site’s original character, using native plants and rejecting showy gardening effects. “Because he was so accomplished at designing a naturalistic landscape, people think they’re natural,” says Karen Mauney-Brodek, president of the Emerald Necklace Conservancy, which preserves the 1,100 acres of parkland. By 1895, after about 20 years of work, Olmsted was done—and his legacy was forever tied to Boston. Though he completed influential projects across the continent, Olmsted settled in Brookline in 1883. He opened offices for the country’s first landscape architecture firm in his home, and continued to work on the city’s chain of parks. “He thought of his work in Boston as being the most important of his career,” Mauney-Brodek explains. The Emerald Necklace that Boston wears today remains the sparkling pendant Olmsted envisioned—but, like any heirloom treasure, it’s required some polish to retain its luster. By the early 20th century, maintenance for the architect’s beloved string of parks had fallen by the wayside. After a period of neglect, restoration efforts picked up in the 1960s and 1970s, when a renewed interest in parklands swept the country. Thanks to this newfound sense of pride, the green ribbon of parks—which had acquired the moniker “Emerald Necklace”—finally got their formal title with the 1998 creation of the Emerald Necklace Conservancy.